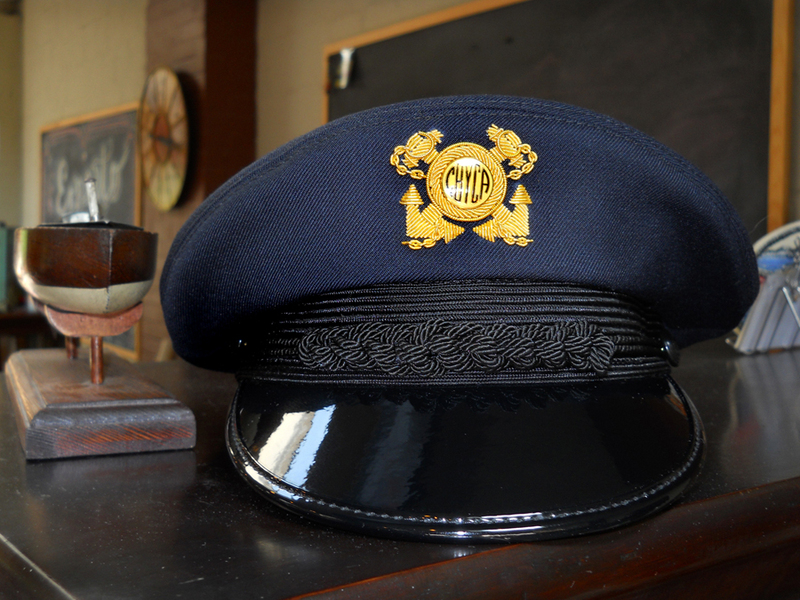 Classic Skipper Caps… ARE IN! The pictured above is a blue one with a vintage yacht club pin in the center of the ring. A big Brown truck delivered one to my door yesterday. I'm going to look spiffy in this new Yacht Cap on the river this summer. Our Palisades Yacht Club had some pins made years ago that were intended for this very cap. Got to fine one of them. Great job Matt, well worth the wait, Got mine yesterday. Now all I have to do is finish the boat. How can I buy one of your vintage style yacht caps? These look amazing. Everything else I see on the web is junk. Yours are really authentic. I would very much like to buy one.